Central City Market is located in Allentown, PA directly across from the Lehigh County Prison. We are a family owned business and our image is everything to us. We take pride in serving only the finest quality products in the Lehigh Valley. 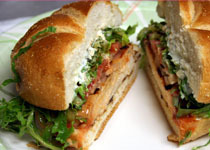 With over 30 years of experience in the deli business, we know that freshness is what makes a sandwich memorable. 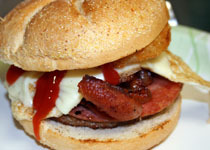 We proudly serve Boar’s Head Meats and Cheeses on fresh cut toppings and bread delivered daily from New York. We know you will be able to taste the difference and join in on what the rest of the Valley is talking about. 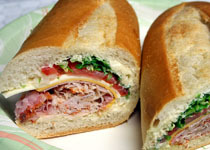 10" Hoagie, it's a mess; But you will love it! Grilled Chicken with Hot Sauce,Blue Cheese,Lettuce and Onion.